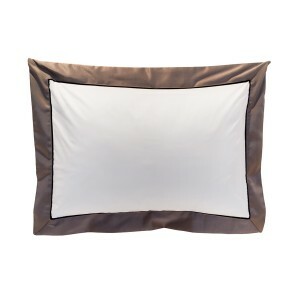 This 100% cotton, luxuriously think duvet cover is soft to the touch. It is crisp, white and inviting. 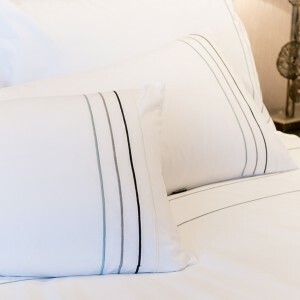 The finely stitched stripe detail softens the shape of the duvet and adds interest. 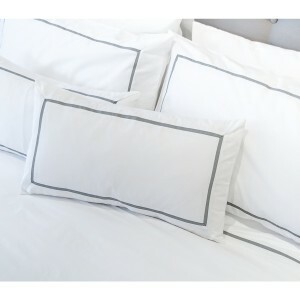 To update your bed linen with a new design that looks crisp and clean.